OK, so before I get started I think I should explain the title, because it sounds a little unsporting. It is the name of the project I want to show off, which was named after a song by one of my all time favourite bands, Regurgitator. Still sounds unsporting? Yeah well it gets worse before it gets better 🙂 The song was written for the Sydney Olympics, don’t worry it is very tongue-in-cheek. The project, is my Ravelympics project, where Ravelry users set them selves a knitting challenge to complete during the Olympics (Heard of the knitting Olympics? This is similar). See, the titular looser in this case is me. I am great at starting projects, but few are seen through to completion. I thought this would be a nice opportunity for me to start a project AND finish it within a short time frame. So I joined a team (Team Oz) and signed up for an event (sock put LOL). My first Firestarters and my first Ravelympic project, Crush The Loosers. NOM. They are so pretty, I really cannot be disappointed. Next year I may even knit this same pattern for the Ravelympics. It will be much easier (and therefore faster *ahem*) the second time around, and this is a design I really can see myself making more of. Pattern: The Firestarter, by Yarnissima. 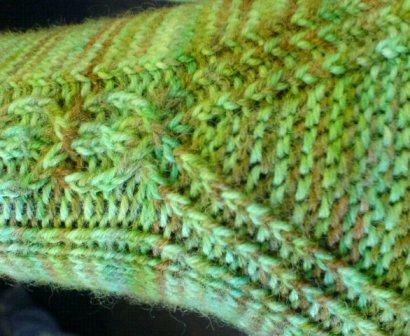 Knit toe-up, with a heel flap, short row toe and twisted stitch cable details. Oh and it was a freebie 😉 This pattern (for me) was packed with something new at every turn. This made for challenging and enjoyable knitting right the way through. I would not recommend them for beginner sock knitters. 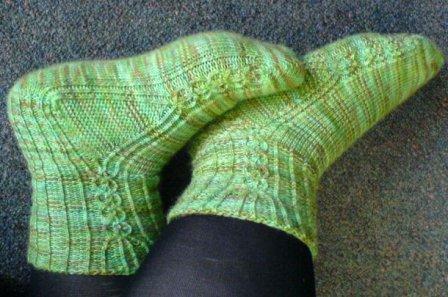 They are a must-do for anyone already comfy with sock knitting though. Oh and I am told that of all of Yarnissima’s amazing designs, The Firestarter is the one to start out with (the others are just mind boggling to me, so I tend to agree with this advice). Yarn: Araucania, Ranco Multi. Purchased from Jenny King Designs. Kettle dyed and quite yummy. Though I have heard there may be some issues with wear, I’ll see for myself and share my findings. Needles: Knit Picks Harmony fixed circulars, 3mm and 2.75mm sizes. Both were 80cm long. I got those from Tapestry Craft in Sydney (they arrived just in the nick of time too). This is the first I have used harmonies, but these are now my fave sock needles. Seriously. Mods: Just one, I added 4 extra stitches to the cuff portion to accommodate my calves. No biggie.